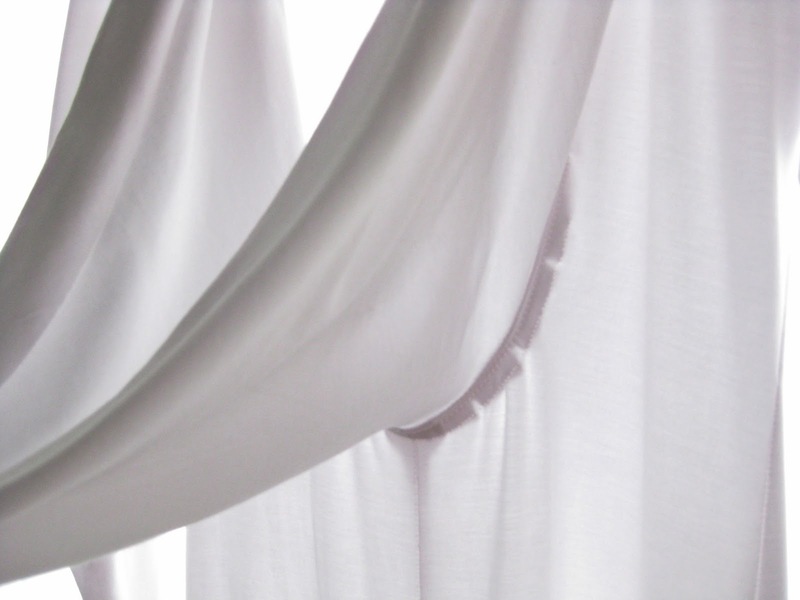 Here are some additional deets on how I put the white jumpsuit together. 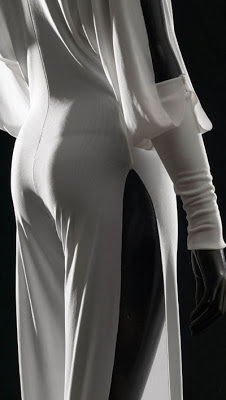 I was able to find some additional photos of the original jumpsuit online, which helped me figure out how it was made and where the seams where. 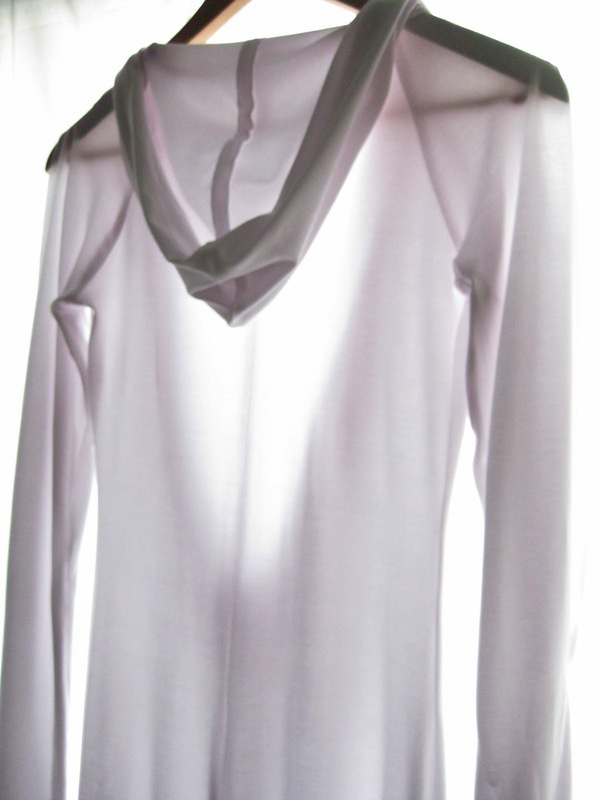 It is a loose-fitting knit top with cowl neck, princess seams and two-piece dolman sleeves. I originally chose it because it had the "custom fit" options, with different cup sizes to choose from. 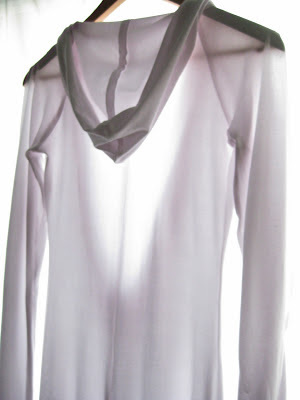 The two-piece dolman sleeve also turned out to be perfect. All I had to do was sew the top seam of the sleeve over the shoulder only, and leave the rest open to create the top slit. I lenghtened the sleeve above the elbow to get the "hamac" effect, as well as below so that they would bunch up a bit on the forearm. The princess seams where the only part that I didn't want, as the original jumpsuit doesn't have any bust shaping. My model is small busted, which made removing the princess seam easy, especially using the a-cup pattern (no sba necessary! ), the curve was already pretty minimal. 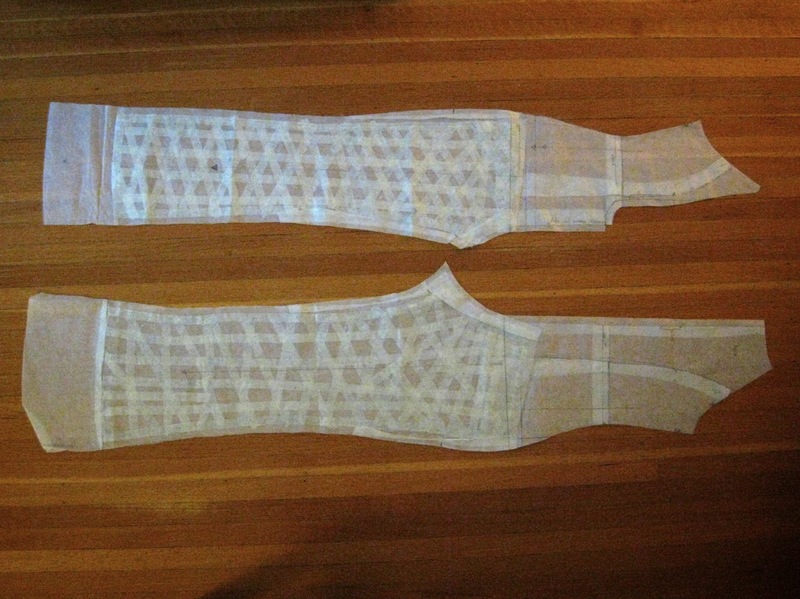 I just overlapped the two front pieces by the amount of seam allowance. 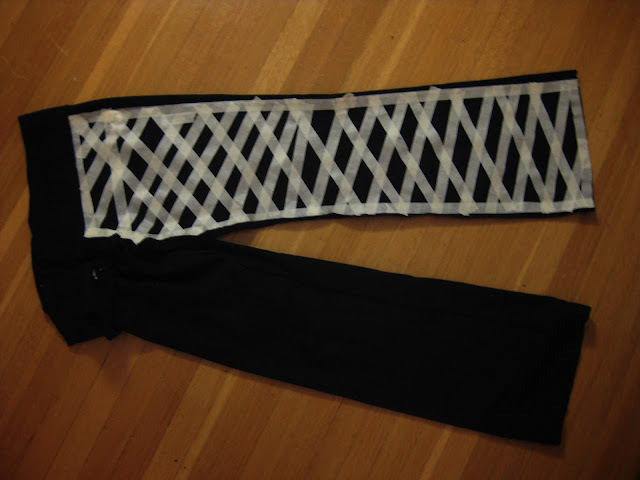 Where the overlap was bigger, I added the difference to the side seam (which in hindsight I probably didn't need to do since I ended up taking at least 1 cm in at the sides and back seam on the final garment). I did the same thing to the back pieces. Overlapping the edges of the princess seam to get rid of them. This only worked because I was working with an A cup and the curve was minimal. For the pants, I asked K. to bring me a pair of well-fitting RTW pants to copy. I looked online for different techniques on how to copy RTW without taking the garment appart and ended up following this tutorial, which uses painter's tape. I copied the front and back leg and left out the waistband. Next, I needed to make the top and bottom into one single pattern, since I didn't want an horizontal seam at the waist. Instead of cutting the top on the fold, I added seam allowance to the CF and CB so that it would match to the pant's center seam (crotch). 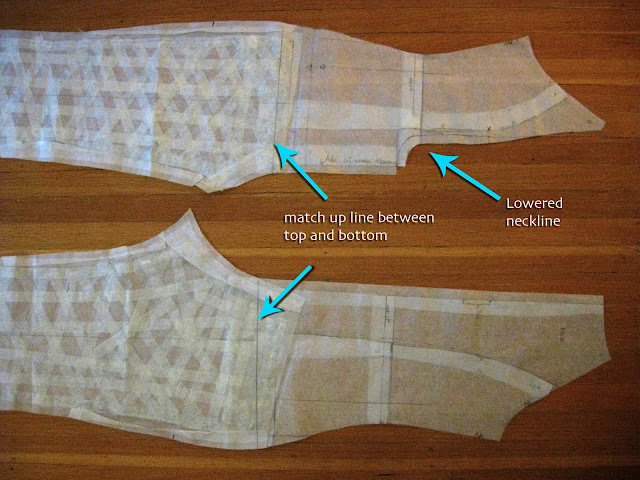 To figure out where to connect the two, I measured the distance at the "center seam" between K's waist and the top of her pants when worn (below the waistband). 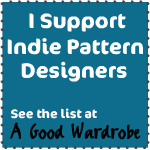 I made a mark at the same distance on the top pattern below the waistline and drew a horizontal line perpendicular to the Center Front. 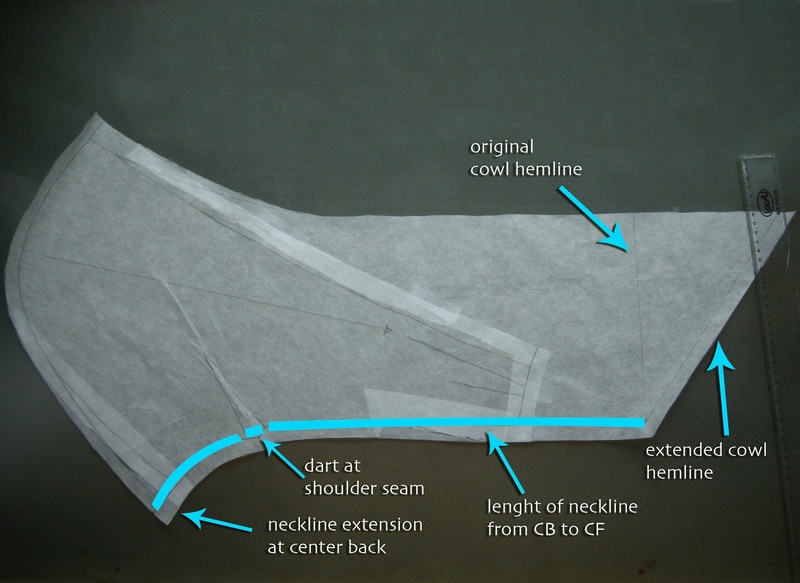 The top of the pant pattern isn't actually parallel to the floor so I drew a line starting at the top of the side seam and perpendicular to the grainline. 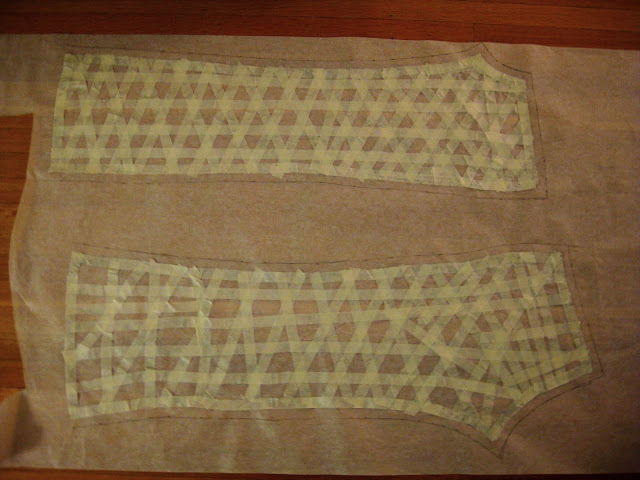 Then I overlapped the two lines, lining up the center seams. Finally, I trued up the side seam between pants and top and bam, I had a one-piece jumpsuit pattern! 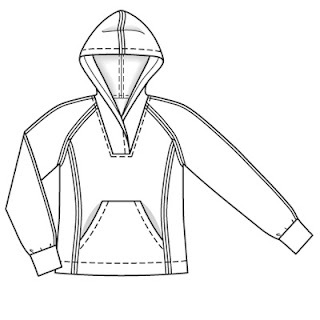 For the hood, I used the hood pattern from BWOF 118-11-2007 ( I was looking for hood patterns in my stash and randomly found that one). 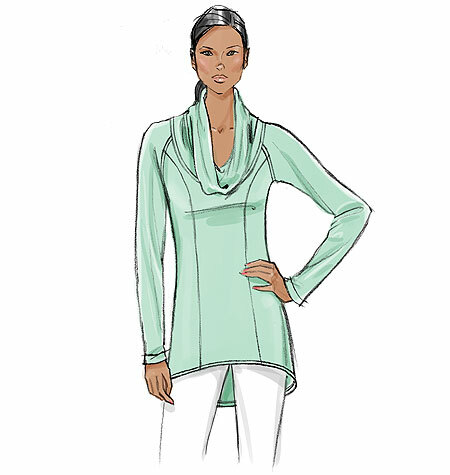 The pattern has darts at the shoulder line, which made it easy to measure how much I needed to add to the front and back to match the top's neckline. 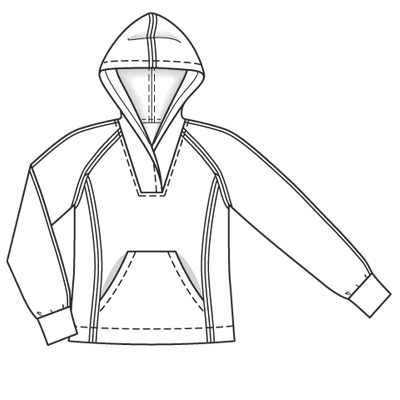 Once i adjusted the back, I drafted the cowl addition to the front part of the hood to match the total length of the neckline. For modesty I didn't extend the neckline as low as the original jumpsuit, but I still wanted the cowl to drape lower than the neck opening so that it reached as low as the original. Instead of drafting a perpendicular angle at the bottom of the cowl I made it at an approx 120-degre angle. 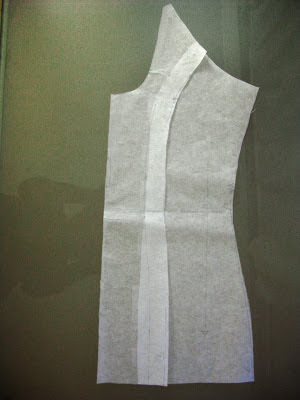 This meant I ended up with a point at the center, which I later recut on the garment to be round. Inside the hood I added a small thread loop so that K. could use a bobby pin to keep it up over her head. Because of the added stay tape to prevent stretching, the seam allowance of the neckline where sticking up and showing so I stitched it down with a couple rows of topstitching which are hidden under the cowl. Because the fabric was so stretchy, and the neckline so wide, I didn't need to add any sort of closure, which was another big time saver. Here's a final comparison of the original and my copy...(You can see the neck opening doesn't go quite a low on mine but the neck cowl goes about as low). Pretty good, eh? Thank you very much! It was definitely fun and challenging at the same time, which made it even more interesting. I find the copying of RTW pants the best thing I've learned doing this.. Thank you! 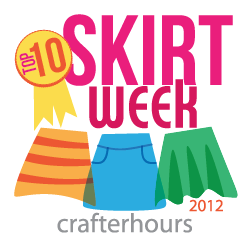 I don't really know tailors/seamstresses very well in the Vancouver area. I know there are a couple of small places on Broadway avenue between Burrard and Arbutus but i'm not sure if they do only alterations or full custom pieces. Sewing is great for that: replicating pieces you might not otherwise be able to find. You should give it a try!